Of all the actions you can take to jeopardize the health of your mouth and body, smoking tobacco is among the absolute worst. The damage done from smoking and chewing tobacco not only devastates the teeth and gums, but it worsens the symptoms of sleep apnea. While it’s admittedly a tough addiction to beat, quitting tobacco use is among the greatest things smokers can do to conquer their sleep apnea. Learn more about how to tame this vicious addiction today. How Do Cigarettes Affect My Mouth and Teeth? Like your health and oral condition, smoking also wreaks havoc on your ability to sleep. The desire for additional nicotine can wake you up at night, and combined with sleep apnea, can really disrupt your sleeping routine. But that’s not all. Smoking is known to boost your frequency of snoring, and can even lead to developing sleep apnea in and of itself. Clearly, any smokers who suffer from sleep apnea should take every measure to quit since tobacco takes a toll on your sleeping ability. 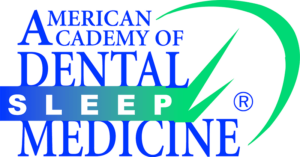 At Alpine Dental, we understand that sleep apnea is a disorder that can impact every aspect of your life. From heart problems down the line to increases in irritability in both the patient and their spouse, sleep apnea seems like a small problem, but it can rapidly seep into the other parts of your life. With a solid plan and reliable treatment, Dr. Klein and his friendly staff can help you conquer your sleep apnea once and for all. Find out what we can do for you here in our Lake County, Illinois offices today.